Here at L.I.F.E. we like to spend our Friday afternoons relaxing and rejuvenating our bodies with some restorative yoga. After lunch we push our desks aside, dim the lights and put on some relaxing music. Our first yoga Friday we concentrated on our breathing because Jennifer told us it is the most important part of yoga. 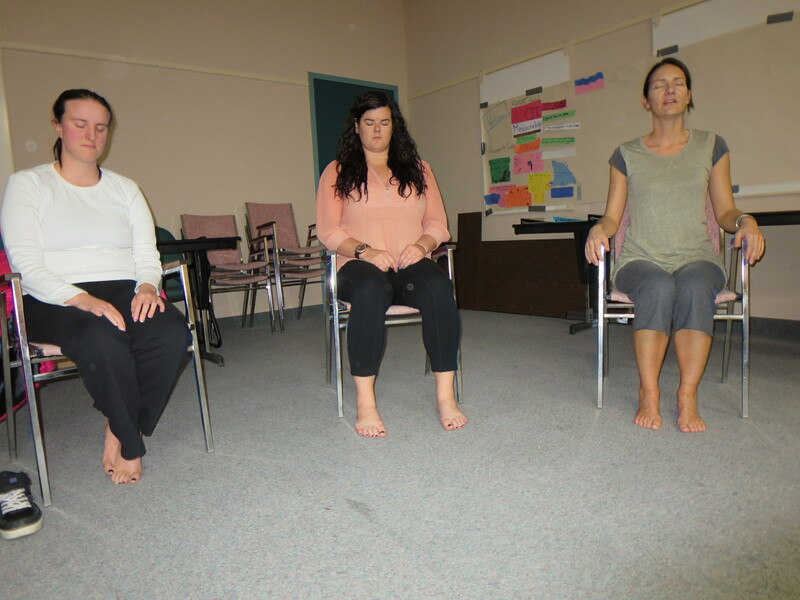 We make sure we are sitting with our legs hip distance apart and our backs straight. We close our eyes and think about our breathing and gain more control of our breath by counting. We follow the breath in and out and it helps us become more aware of our bodies. Our second yoga Friday involved more breathing but we also got to use therapy balls. By this time we all felt more comfortable and were willing to try new things. The therapy balls are about the size of a tennis ball but firmer. We put the balls on the floor and rolled our feet over them, applying the pressure that we desired. It felt like a foot massage and brought sensation to our feet that we do not normally get to experience with shoes on. 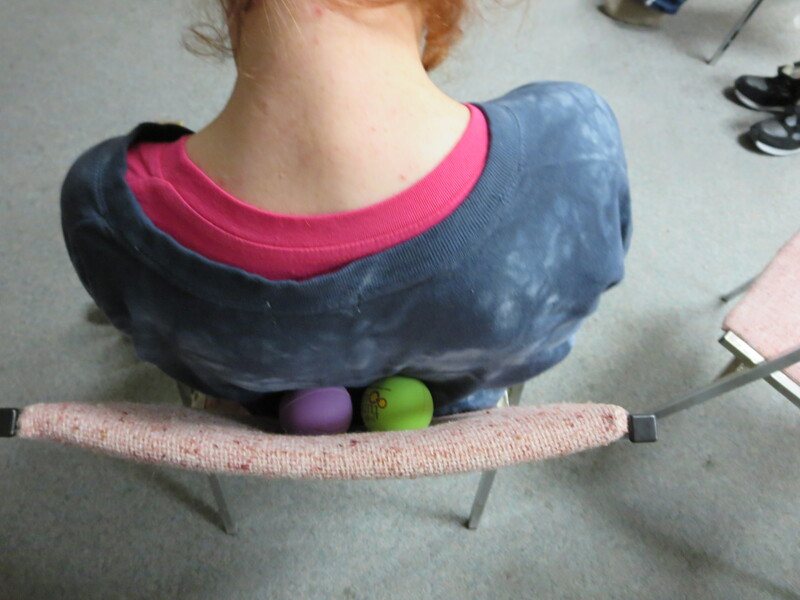 Then we placed the balls behind our backs against our chairs and moved around. It felt like a back massage and tension was released. We always look forward to Fridays and can’t wait to get on those yoga mats!!! L.I.F.E.Toronto is a new program that continues with the support of United Way Toronto, TD Canada Trust, and Royal Bank.